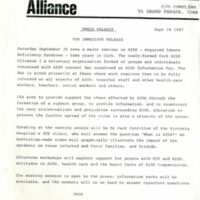 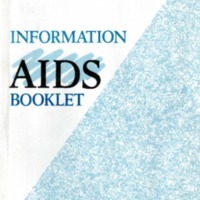 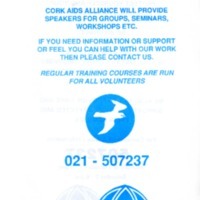 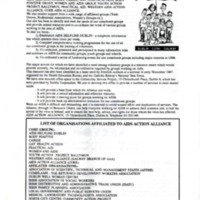 Leaflet providing information about the Cork AIDS Alliance and its activities. 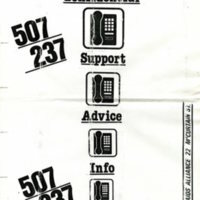 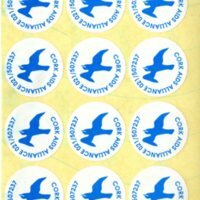 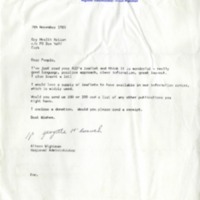 It includes the contact details for the Cork AIDS helpline. 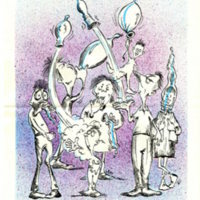 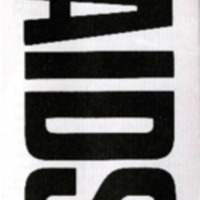 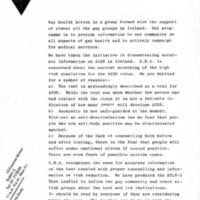 Revised version of the Irish AIDS Leaflet - original produced in 1985, revised version produced in 1986.